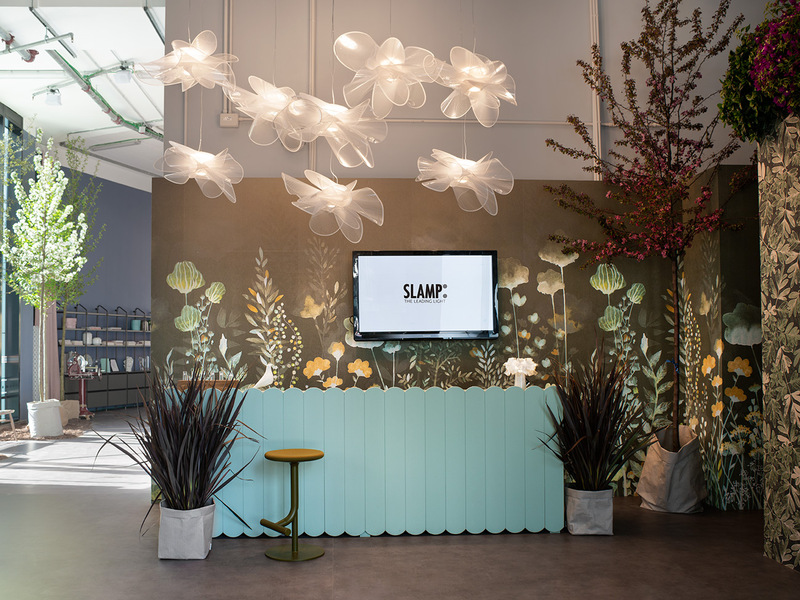 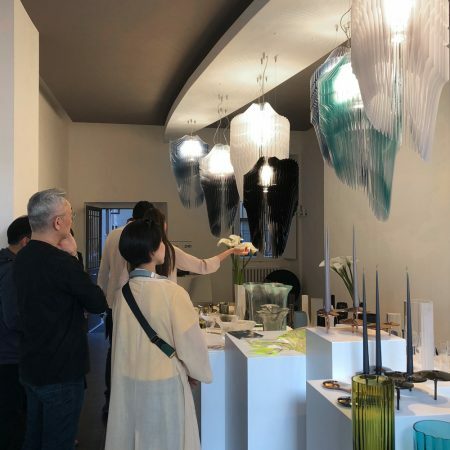 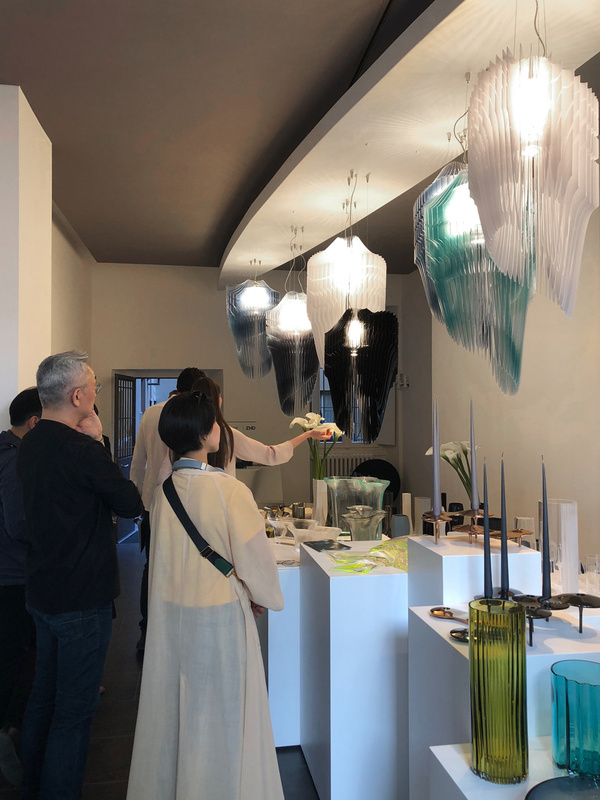 Slamp had installations in three exclusive and essential points throughout the city during Milano Design Week, 2018 (April 17th to the 22nd). 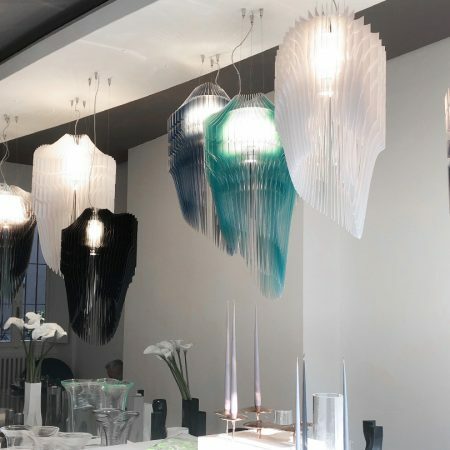 Between the Piccolo Teatro and Brera Design District, in the Galleria Giovanni Scacchi, visitors immersed themselves in a retrospective dedicated to the virtuoso Zaha Hadid, whose Avia collection for Slamp, “dressed” in new garb designed specifically for the occasion, was on display. 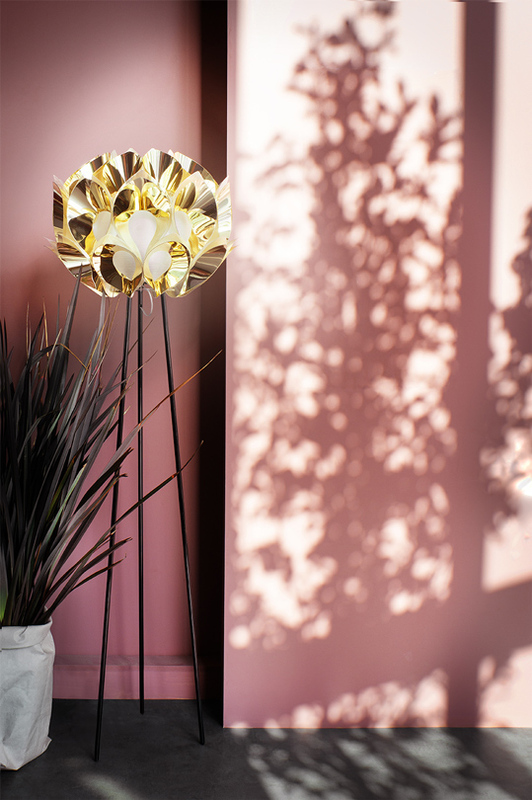 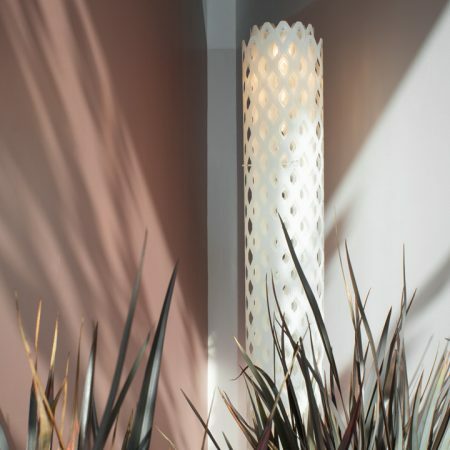 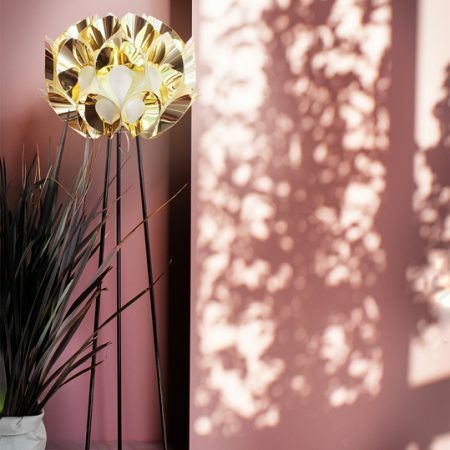 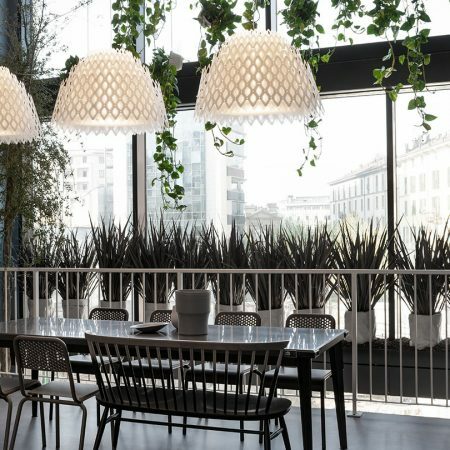 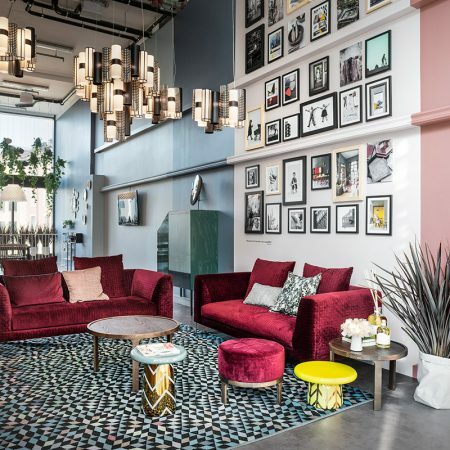 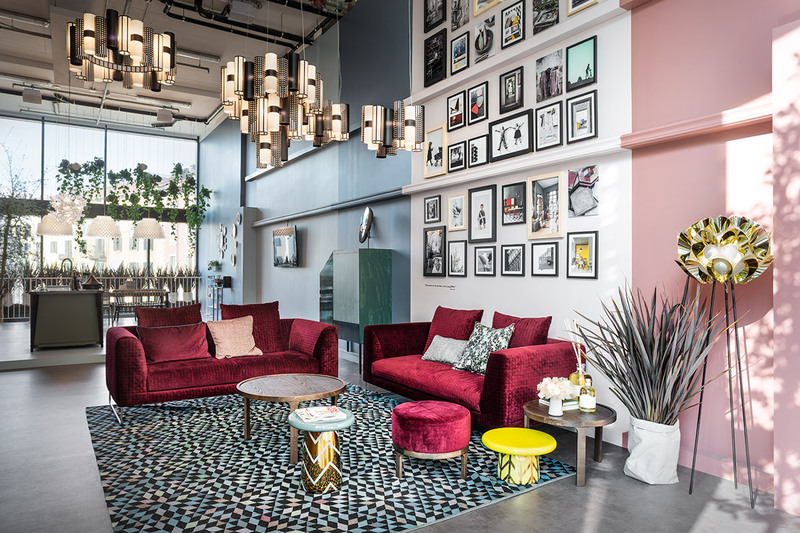 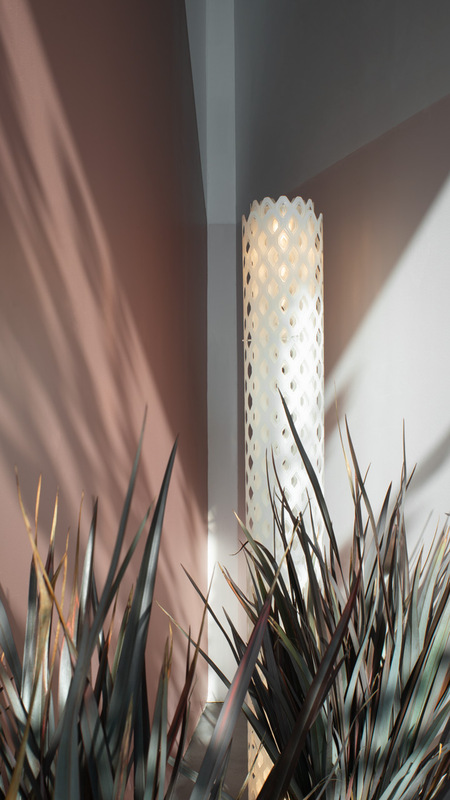 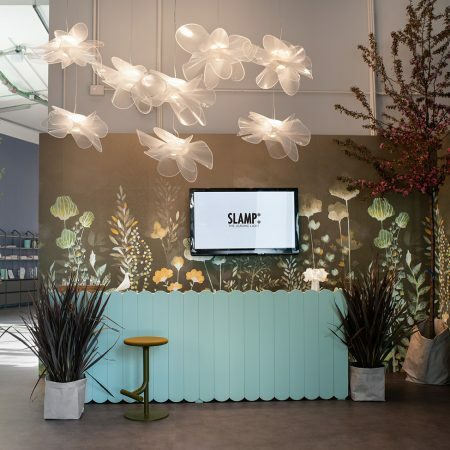 The brand new Innovation Design District, nestled between the bosco Verticale and Unicredit tower, the home to CasaFacile DesignLab, was where Slamp’s iconic pieces were part of a multi-sensory living experience. 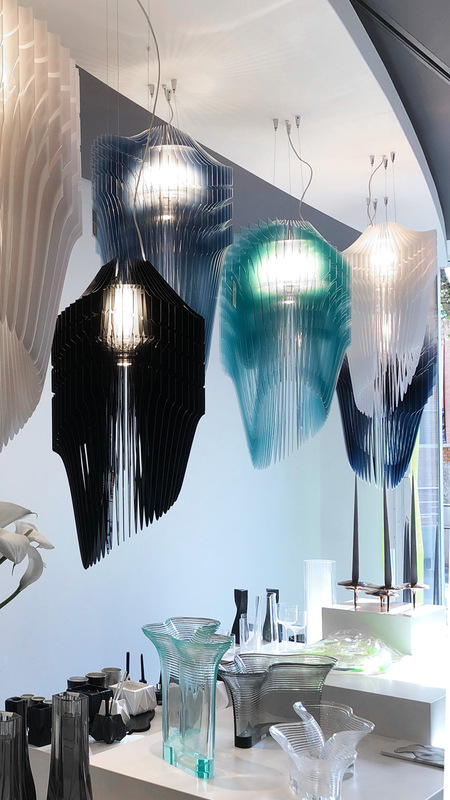 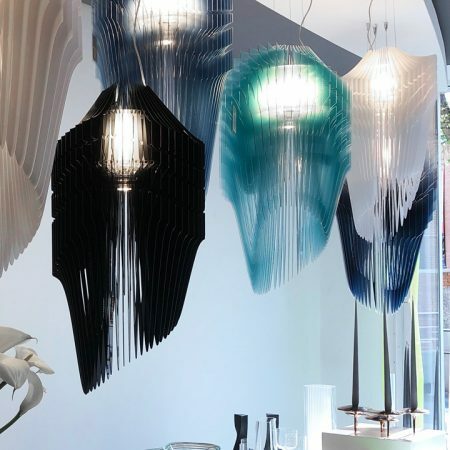 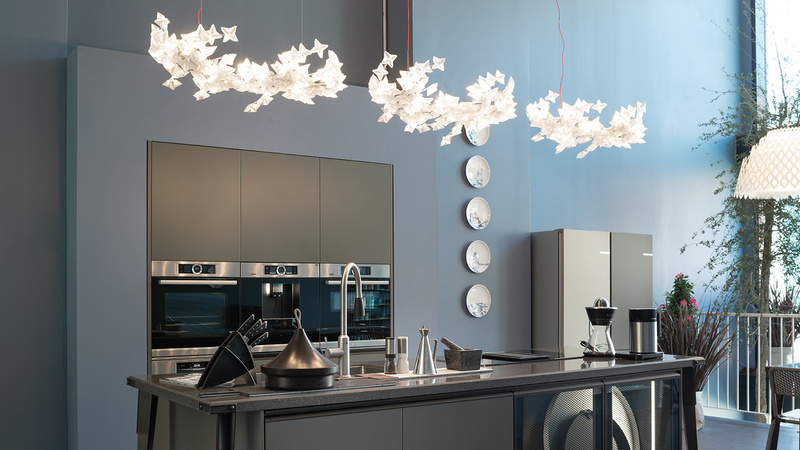 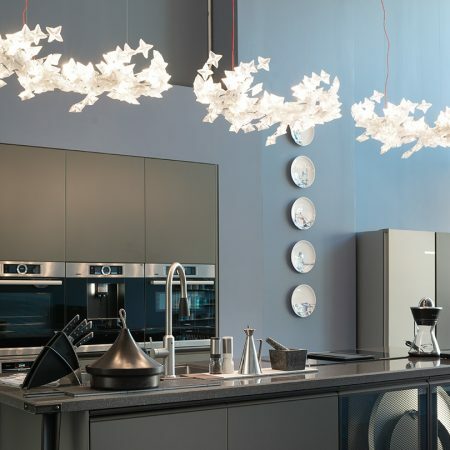 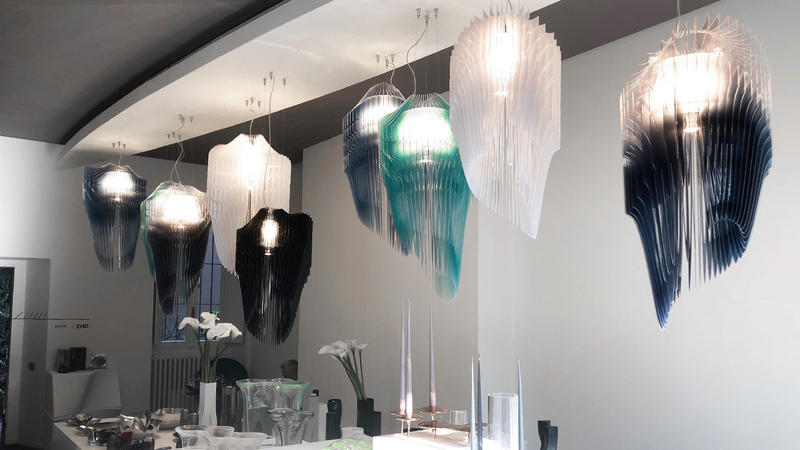 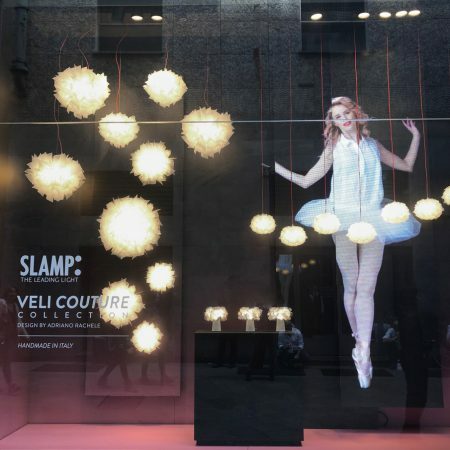 The unveiling of the newest collection, La Belle Étoile, inspired by the ethereal movements of classical dance, with integrated LED technology and a magnetic hanging system, was also part of the display. 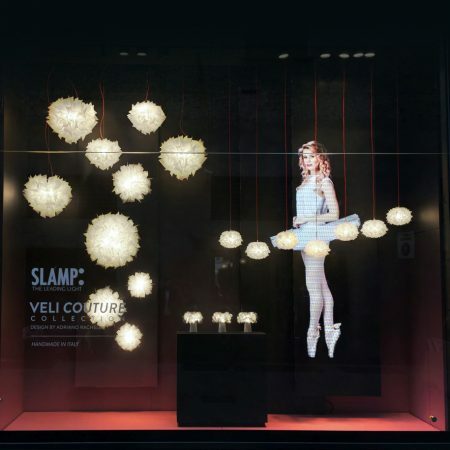 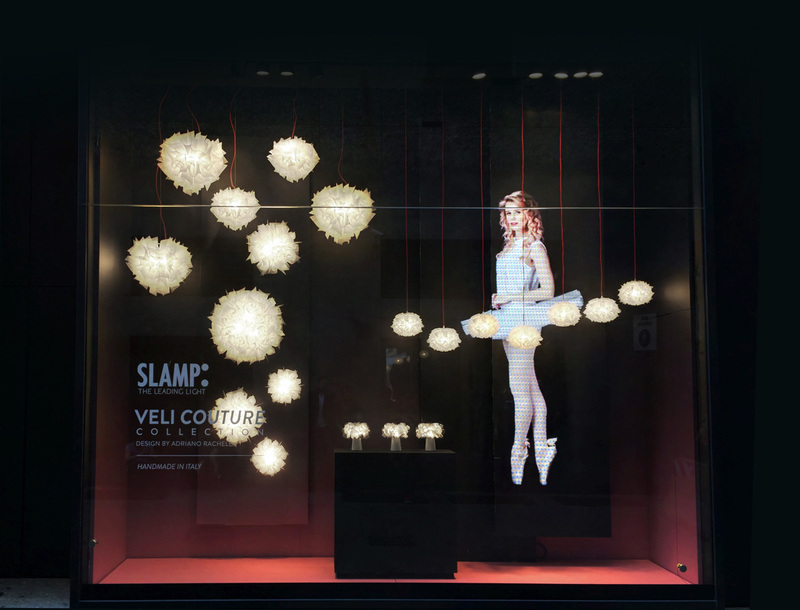 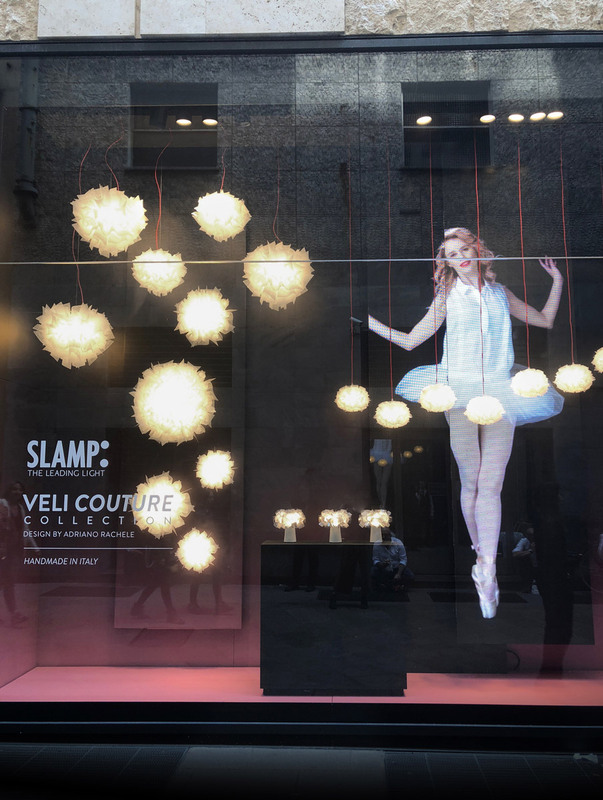 A stroll by the Duomo and Milan’s La Scala was accompanied by Slamp’s illumination of the iconic concept store, La Rinascente. 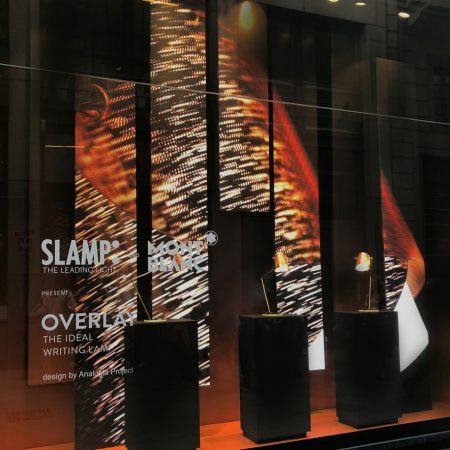 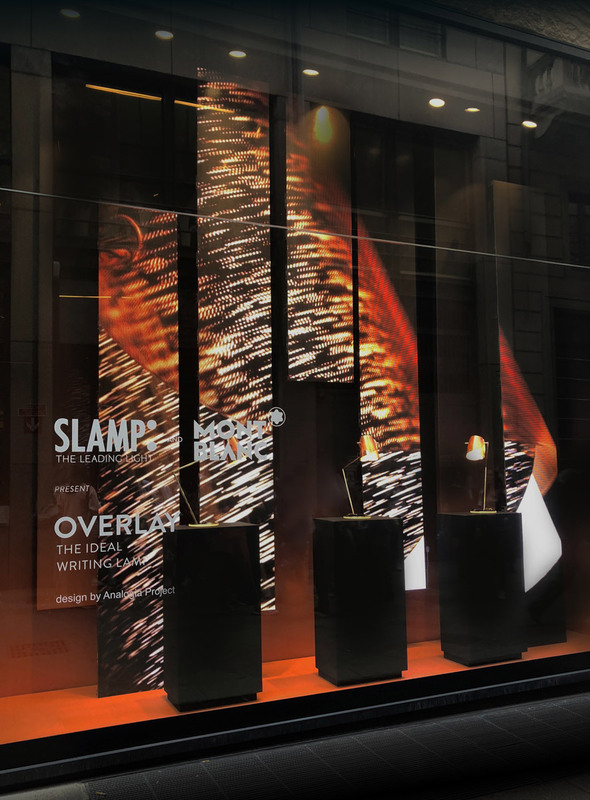 The windows were draped in the Veli Couture Collection, as well as the co-marketing project created with Montblanc: Overlay, the perfect writing lamp.